Rd.4 at Fuji Speedway got underway with cloudy skies. The outside temperature was 30℃ and track temperature at the start of the race was 37℃. Pole winner Nick Cassidy and the cars in the next 4 grids behind him began the race on soft spec tires. 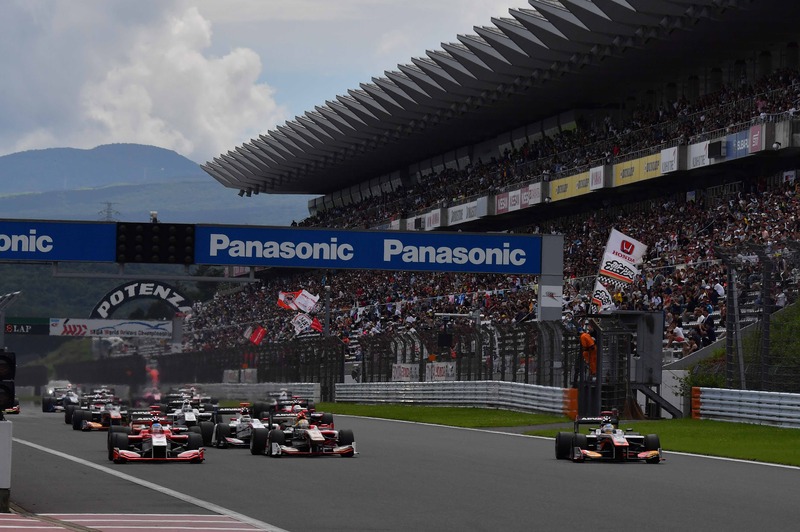 Nick fended off a fierce fight from Hiroaki Ishiura and Yuki Sekiguchi, who got off to a fantastic start to the 250 km race. Nobuharu Matsushita also got off to a fine start, moving up 4 grids into P6. At the lap 5 point in the race, Nick had a 1.3 sec lead over P2 running Ishiura. 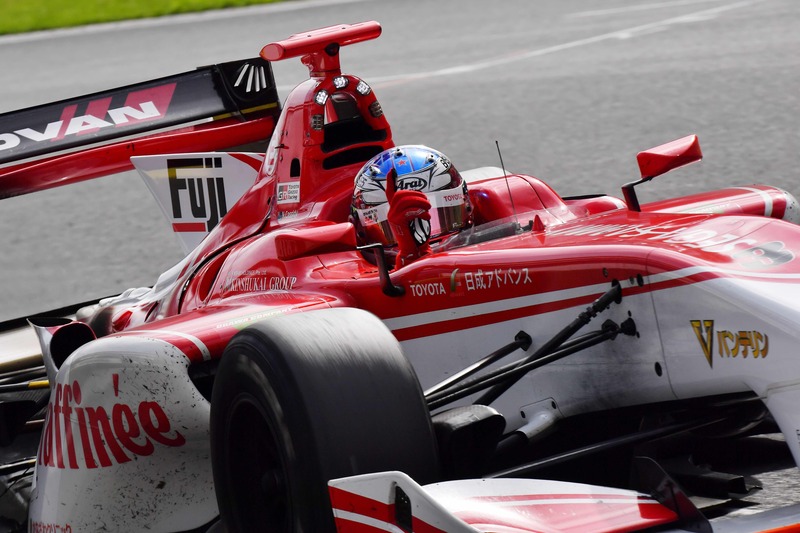 Sekiguchi was running in P3. P19 starter Daniel Ticktum gained 6 places and was in P13. Ticktum then fought for more positions and was in P10 by lap 9. Takuya Izawa, Kamui Kobayashi, Tom Dillman were the first to complete the mandatory tire change for this race, and by lap 15, cars in P10 to P19 had all changed tires. Nick got stuck in traffic behind some of the cars that had gone into the pit, causing him to have less than a 1 sec. lead over Ishiura. Sekiguchi went to the pit on lap 25. He came back on the track behind teammate Ryo Hirakawa. Then on lap 28, points leader Naoki Yamamoto pitted to change to medium spec tires. 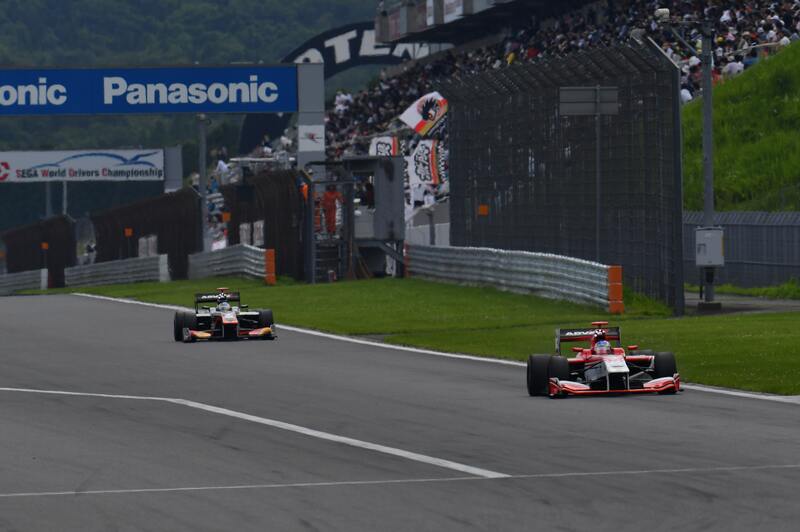 The top 3 at that point were Nick, P2 Ishiura, P3 Kazuki Nakajima. Ticktum went to the pit on lap 30. He came out just in front of Nick, which caused Nick to lose the slight lead that he then had over Ishiura. It was only a 0.5 sec. lead between the 2 at that point. Ishiura tried to overtake Nick, but Nick pushed back even harder. Nick’s team began preparing for a tire change on lap 34. Ishiura’s team did the same. Nick pitted on that lap, but Ishiura stayed on track. Nick’s tire change took 12.9 sec., which was faster than the 13.4 sec. by Ishiura’s team on lap 40. Ishiura lost time because of a jack problem after changing tires, which cost him the opportunity to possibly get back out on the track in front of Nick. All the cars had changed tires by lap 44, so after that it was just a fight for championship points. Nick had built up a 3.1 sec. lead over Ishiura by that point, but Ishiura fight to try to catch up, but with no avail. 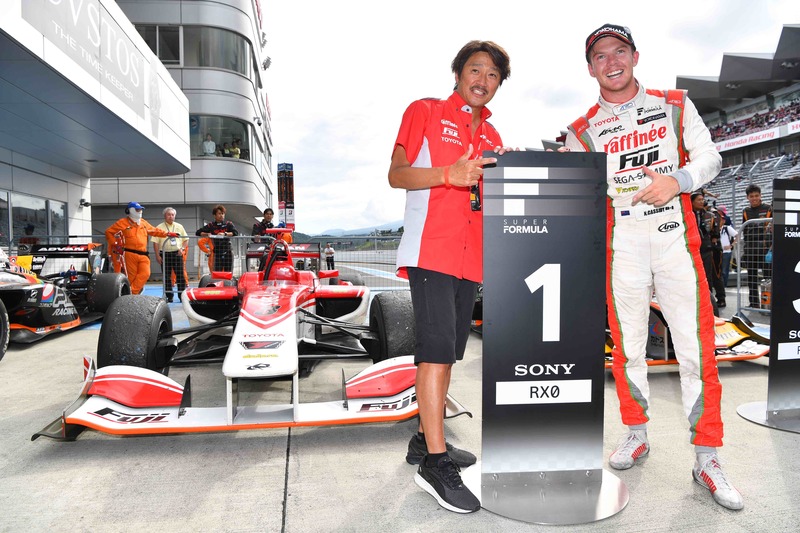 Nick was able to pull off his first Super Formula victory, which was a pole to pole showing. 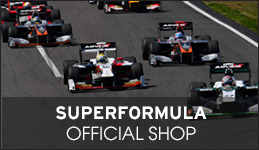 In P2 was Ishiura, P3 Yuji Kunimoto, P4 Ryo Hirakawa, P5 Kazuki Nakajima. 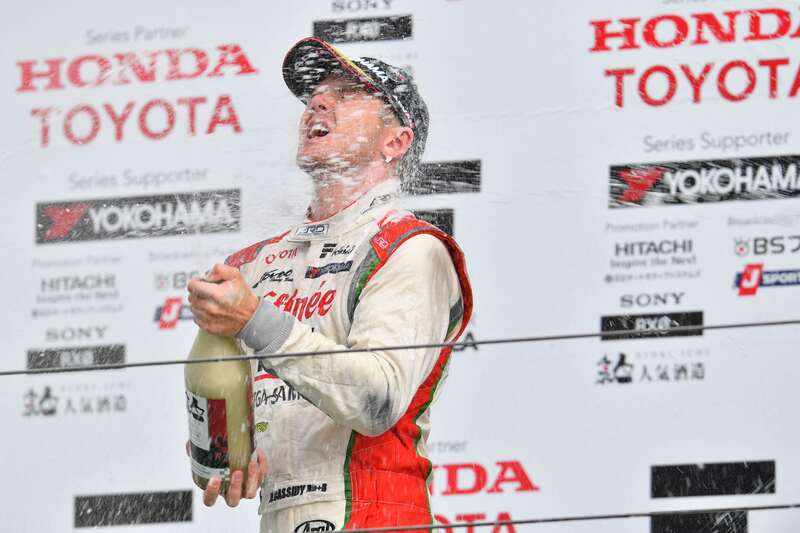 Copyright © Japan Race Promotion Inc. All rights reserved.